Seven Quick Takes about what I learned from waiting tables for a year. November 9, 2018 in faith, Seven Quick Takes Friday. I learned a lot from my run streak last summer. Here are seven of those things. March 10, 2017 in running, Seven Quick Takes Friday. October 8, 2015 in CatholicMom.com, family, family life, Frodo Waggins. This week, CatholicMom.com is hosting a Meatless Friday Linkup for picnic recipes. I’ve got a delicious macaroni salad that packs a lot of flavor while still being a light recipe. May 29, 2015 in cooking, link-o-rama. There are more than seven, but here’s a good start! February 13, 2015 in entertainment, family, Seven Quick Takes Friday. Twelve photos that help sum up 2014. December 30, 2014 in faith, family, family life, link-o-rama. You don’t have to do big things to have a terrific week. 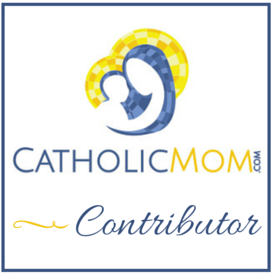 Share your Small Successes here and at CatholicMom.com! December 11, 2014 in family, home life, Small Success Thursday. December 7, 2014 in Advent, faith, link-o-rama.